Let Us Help You Love Where You Live! Rob and Jeff listened to our ideas, and gave us options. Jeff closely supervised the job every day and always returned calls quickly. Rob met with us consistently to review work, and to make sure we were pleased. Our remodel was finished as scheduled, and they continue to be available to work with us on details. The end result is a home that we love and where we are very happy living! 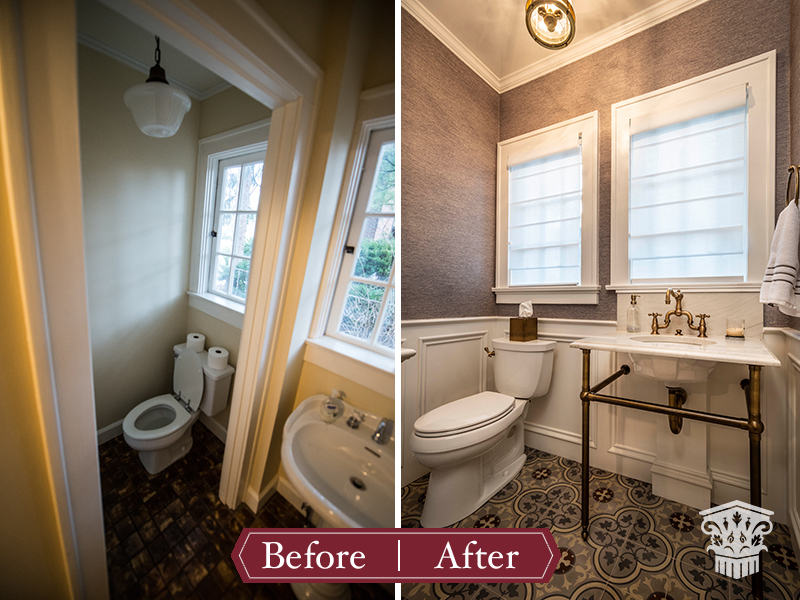 Corinthian created all the visual beauty and all the comforts we had wanted from our remodel. We highly recommend Corinthian Fine Homes to anyone who values quality and working with nice people. Thank you Rob, Susan, Jeff and all the Corinthian contractor team! 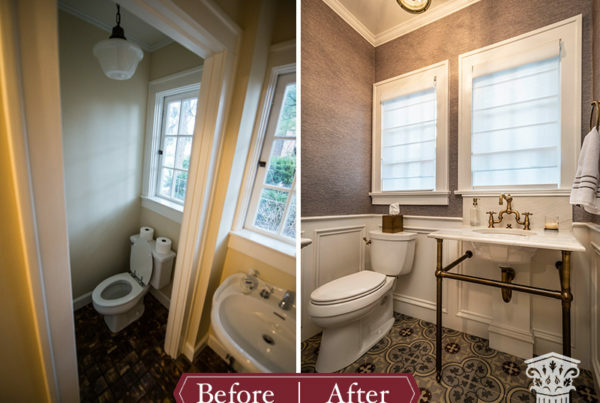 We hired Corinthian Fine Homes to complete a major renovation that encompassed our kitchen, laundry room, great room, master bath and 2 other smaller bathrooms. Rob and his team surpassed our expectations! The finished product is amazing, and was completed on time, with hand-holding through-out the entire process. We know lots of builders and remodelers. We chose Corinthian Fine Homes because several friends had positive experiences with Rob Froehlich and his team. We also wanted a builder who respects architecture. We're buffs and wanted to stay true to the period (1927) in the restoration of our Meridian Kessler home in Indianapolis... It was nice to meet a contractor who did what he said he would, when he said he'd do it, for what he told us it would cost - with no expensive surprises. We'd employ Corinthian again in a heartbeat. Corinthian put an addition onto our home. 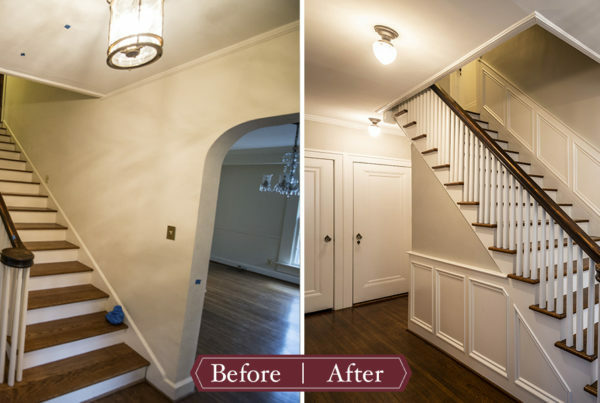 It included digging out a new finished basement and adding a family room and outside porch. Corinthian was fantastic to work with. Their tradesmen are top-notch. The crew was respectful, courteous, and responsive. The project manager was excellent - always available and responded immediately to questions and concerns... I cannot say enough great things about Corinthian. I would highly recommend them to anyone doing a home improvement project/renovation. Rob and Jeff scheduled the work to be completed so that it didn't disrupt our family too much and allowed us to stay in the home thru the entire project. Everyone we worked with were kind and pleasant to have around the house. If I had any issues, Jeff dealt with them quickly and I always felt Rob and Jeff listened and responded appropriately! The finished product is so much better than we could have ever dreamed! 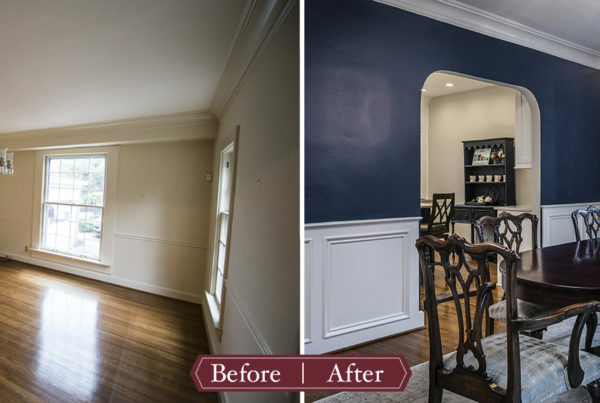 Thanks to Rob's creative eye, we worked together to make an area of our project a unique and beautiful focus of the room. I always felt I could bring him my ideas and he did a wonderful job designing and executing them thru his team of professionals. We would definitely use Corinthian again on future projects. Corinthian Fine Homes sets the platinum standard for contractors. As seasoned homeowners, my husband and I aren't new to the whole contractor thing. We've done a few major recons on different homes we've owned in the past. Rob exhibited the utmost patience and professionalism throughout the whole process. Patience being his forte since we weren't the easiest clients with whom to deal. Aside from out TONS of questions, he endured many curveballs such as "hey, can we completely change this and do this instead?" or how about since we see what a great job you did on this "Why don't we do this too?" complete add-on projects/rooms" kind of ideas… He's honest, reliable and does a great job of strategizing on how best to tackle a project; you can tell his approach is well thought out from the start, even though ours may not be! I have been the principal designer on several projects that Corinthian Fine Homes managed from start to finish. They have been great to work with. Rob and his wonderful project manager think of things I missed (as much as I hate to admit it), and follow through on even the tiniest details. I always poll my clients after completion, and they consistently rate Corinthian extremely high.